This report asks three main questions. First, what is the terrorism threat to Europe, and how has it evolved over time? Second, how have European governments responded? Third, what are the policy implications for the United States? While the report provides a broad overview of terrorism trends in Europe, it also includes two more detailed case studies: the United Kingdom (UK) and France. The report highlights that if one looks all the way back to 1970, fatalities in terrorist attacks in Europe have declined somewhat since the end of the Cold War. During the Cold War, Europe suffered terrorist attacks by ethno-nationalist groups such as the IRA and ETA and by left-wing groups such as the Brigate Rosse (Red Brigades) and the Greek Revolutionary Organization 17 November. Moreover, Middle Eastern and North African terrorist groups attacked European targets and some had state sponsors. The collapse of the Soviet Union in 1989 marked a turning point when Marxism-Leninism lost effectiveness. As for the IRA, the Good Friday agreement of 1998 in Northern Ireland brought its fight to an end. As a result, fatalities from terrorism in Europe began to decline significantly by the mid-1990s. The attacks on the USA of September 11, 2001 marked a shift toward Islamic extremism and Jihadism. Since then, Europe has been hit hard by this type of terrorism, most notably in the early phase in Madrid on March 11, 2004, when 191people were killed and 1,755 injured, and in London on July 7, 2005, when 50 were killed and 700 injured. From 2014, al-Qaeda was joined by Islamic State as a new Salafi-jihadist terrorist threat as it launched a new wave of terrorist attacks. Between 2014 and 2016, Europe witnessed several major attacks, such as the January 2015 strike against the satirical newspaper Charlie Hebdo and other targets in Paris. The November 2015 massacre in the Bataclan theater and other targets in Paris followed. In 2016, Belgium suffered the attacks at the Brussels Airport and Maalbeek metro station in Brussels, France was hit again by a vehicle attack in Nice, and Germany saw an attack on a Christmas market in Berlin. Alongside the Salafist-Jihadist terrorist threat, the report indicates that Europe faces a threat from extreme right-wing and left-wing groups. In particular, there has been a significant rise in extreme right-wing attacks, from 9 in 2013 to 21 in 2016 and 30 in 2017. In fact, 2017 saw the highest number of right-wing attacks in Europe since 1994. The United Kingdom has a long and diverse history of dealing with terrorism. The “Troubles” in Northern Ireland began in the 1960s and then escalated in 1969 when riots broke out in August and the UK deployed troops. Between 1969 and 1998, the conflict claimed over 3,500 lives, left 48,000 with injuries, and inflicted billions of pounds in economic damage because of the cost of reconstruction after attacks, higher insurance premiums, the negative impact on foreign investment in Northern Ireland, and other factors. 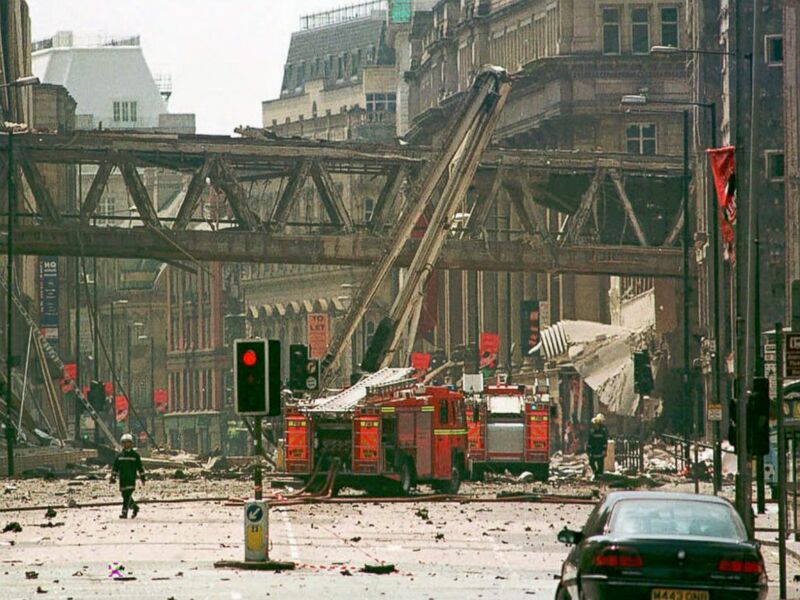 Only three years after the 1998 Good Friday Agreement, which paved the way for a political settlement in Northern Ireland, al-Qaeda perpetrated the 9/11 attacks and ushered in a new wave of violence in the West, including in the United Kingdom. By 2006, MI5 had already identified around 1,600 individuals who posed a direct threat to UK national security and public safety because of their support for terrorism. By 2007, that number jumped to at least 2,000 individuals. Today, Islamic State remains the most significant threat because of its unparalleled ability to inspire attacks; its aggressive online propaganda campaign; and its relationship with UK groups such as al-Muhajiroun, which pledged allegiance to Islamic State. There has also been a threat from extreme right-wing groups and individuals in the United Kingdom, most of whom have connections to far-right groups abroad. Northern Ireland related terrorism also remains a serious threat and some dissident republican terrorist groups continue to carry out terrorist attacks. Between 2011 and 2017, there were 127 attacks in Northern Ireland, mainly targeting the Police Service of Northern Ireland, prison officers, and the armed forces. Prevent: stop people from becoming terrorists or supporting terrorism. Pursue: stop terrorist attacks from happening in the UK and overseas. Protect: strengthen the United Kingdom’s protection against a terrorist attack in the UK or overseas. Prepare: mitigate the impact of a terrorist attack if it occurs. In parallel to CONTEST, the UK has promulgated different laws (Terrorism and Counter-Terrorism Acts of 2000, 2006, 2008 and 2015), establishing additional penalties for terrorism; provisions designed to prevent people from travelling to Syria, Iraq, and other battlefields; measures to stop them from returning if they did leave and engage in terrorist activity; and initiatives to curb the spread of jihadist ideology. In order to combat terrorist use of the internet and social media, the most important new threat, the UK has developed a more aggressive approach. GCHQ, the UK’s signals intelligence agency, has worked in partnership with the Ministry of Defence to conduct offensive cyber operations against Islamic State and other terrorist groups. Over 300,000 pieces of terrorist material were removed from the internet between February 2010 and June 2018. The UK’s intelligence and law enforcement agencies have also made a concerted effort to identify individuals who were no longer subjects of interest (SOIs) but could still present a national security threat in the future. Closed SOIs are those individuals who were part of an MI5 priority investigation but who were given a holding code, which indicated that they were no longer assessed to represent a national security threat. In addition, the UK has added programs to its Prevent work to support individuals released from prison and minimize recidivism. The program began running a pilot test in 2017, focusing on individuals subject to court-approved conditions, including all terrorism and terrorism-related offenders on probation. The UK has also expanded its focus on other forms of terrorism, particularly on the extreme right wing. JTAC, MI5, and the police have been given additional resources to assess and investigate extreme right-wing terrorism. The threat from extreme right-wing groups and individuals is likely to be more acute in the UK than anywhere else in Europe, as Europol concluded. The biggest terrorist threat in France is linked to jihadism that emerged in the early 1990s. The jihadists’ motive was to compel France to change its foreign policy toward Muslim majority countries, especially in North Africa. The second wave of jihadism, generally related to al-Qaeda, began with French fighters who came back from Afghanistan and Bosnia in the 1980s and 1990s. Only a few dozen individuals returned, conducting a mix of terrorist and gang-like activity. The 2003 U.S. invasion of Iraq and, afterwards, the Arab Spring also provided new hotbeds for French jihadists, who later rose high in the ranks of Islamic State. Once again, North and West Africa became an additional source of concern for France. In 2013, France deployed troops to Mali to fight Salafi-jihadist groups such as JNIM, which in turn led to more threats against French interests. The security situation is deteriorating again in the Sahel despite French efforts to set up a regional force, the G5 Sahel, to fight terrorist groups. Terrorists regularly target French or Western assets, such as mines, factories, and military bases, along with expatriates and local governments. The last wave of jihadism was related to the rise of Islamic State, resulting in the 2015 Paris attacks. In response, France has built its counterterrorism institutions substantially in recent years. It created several interagency coordinating bodies at the strategic and operational levels to mitigate institutional competition and improve the government’s reaction time. Furthermore, French counterterrorism plans have been updated annually since 2014. The last time was in July 2018 in the Action Plan Against Terrorism. The organizational structure is made up of different counterterrorism centers. The CNCLT (The Centre National de Coordination de la Lutte contre le Terrorisme) ensures counterterrorism coordination at the strategic level and provides the president with analysis. The DGSI (The Direction Générale de la Sécurité Intérieure) oversees counterterrorism activities on French territory and has the lead for operations, making use of Préfectures that help detect emerging threats at the local level. Finally, at the institutional level, the UCLAT (Anti-Terror Coordination Unit) is charged with assembling a complete picture of the terrorist threat. It centralizes, discusses, and dispatches information and intelligence to other governmental agencies, has the authority to assign a task to an agency, and can impose intelligence-sharing activities. Regarding legislative reforms since the rise of the Islamic State in 2014, the French parliament has passed seven major laws against terrorism which have enabled the country to process and investigate around 1,600 people. In particular, the number of sentences dramatically increased from only 10 in 2012 to 240 in 2016. Moving forward, the evolving nature of terrorism suggests that the UK, France and the US, like other countries, will face multiple challenges, although in different ways. First, the internet and social media will remain a major tool of Islamic State, al-Qaeda, and other groups for radicalization, recruitment, fundraising, and other terrorist activities. Therefore, greater collaboration between governments and private companies that manage social networks and message exchange platforms is needed in order to combat violent extremism of all kinds, remove jihadist and extremist content, and promote counter-narrative campaigns. Second, the threat from Salafi-jihadist groups, networks, and individuals is likely to remain high. Therefore, intelligence, military and diplomatic efforts between different states are necessary to reduce a threat that includes 67 jihadist groups and about 230,000 Salafi-jihadist fighters across the globe. Third, the threat posed by extreme left-wing and right-wing is very high. This type of terrorism is generally limited to national or regional dimensions rather than global like Islamic State, but it still poses concrete threats to the security of democracies, including the US. Fourth, domestic threats from some returning foreign fighters and their families and those released from prison are likely to endure. Fifth, radicalization in prison will remain a huge problem, both in Europe and the US. Prisons will continue to be a breeding ground for jihadist networks. In particular, the United States has done little to minimize radicalization in prisons systematically, and even less to ensure that those released from prison remain disengaged from violence. At the very least, US policymakers should take a close look at European programs, such as the UK Home Office’s Desistance and Disengagement program and France’s pilot disengagement centers. The current threat and response in Europe have several implications for the United States. First, the terrorism threat in Europe should give Americans pause. The threat of attacks by groups such as Islamic State and al-Qaeda against US allies such as the UK and France is at one of the highest levels since 9/11. In addition, the numbers of active Salafi-jihadist fighters and groups worldwide are both at near-peak levels since 1980, indicating that the global threat remains substantial. Consequently, the recent paucity of successful attacks against the US at home or abroad, either inspired or directed by groups such as Islamic State and al-Qaeda, may be temporary. Second, disengagement programs will remain challenging. Numerous European governments have shifted away from using the term “deradicalization”, which requires changing an individual’s mindset and ideological beliefs, a tall order. Instead, they have moved toward terms such as “disengagement”, which involves dissuading an individual from violence or other illegal activity. US policymakers should consider a similar shift and focus on helping disengage individuals from violence and other illicit behavior. Particularly acute challenges include countering extremist ideology in prisons. If not dealt with properly, prisoners can breed a new generation of jihadists. Third, the rise of violent right-wing networks in Europe, including in response to immigration concerns, should be a warning to the United States. In fact, the terrorism threat from violent right-wing extremists in the United States also appears to be growing. The number of terrorist attacks by far-right perpetrators in the United States rose over the past decade and quadrupled between 2016 and 2017. Fourth, despite some transatlantic friction, a long history of US-European counterterrorism cooperation needs to continue. This cooperation will remain necessary in order to collect and share intelligence, develop strategy, and conduct counterterrorism operations inside and outside American and European borders in the face of the global threats posed by groups such as al-Qaeda and Islamic State. In fact, if anything, US-European counterterrorism cooperation is now more important than ever.